CAJC, CAC, CACA, CWC, CACIB, BOB, BIG, BIS ml., EV ml. 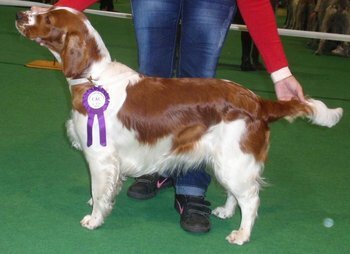 2008, KV, VSV, JCH, CH CZ, Grand CH CZ, CH SK, CH PL, CH A, C.I.B., C.I.E. KPZ II.c. 217 b., VZ III.c. 433 b.
U, ZV I.c., LZ I.c., PZ I.c., VZ I.c.